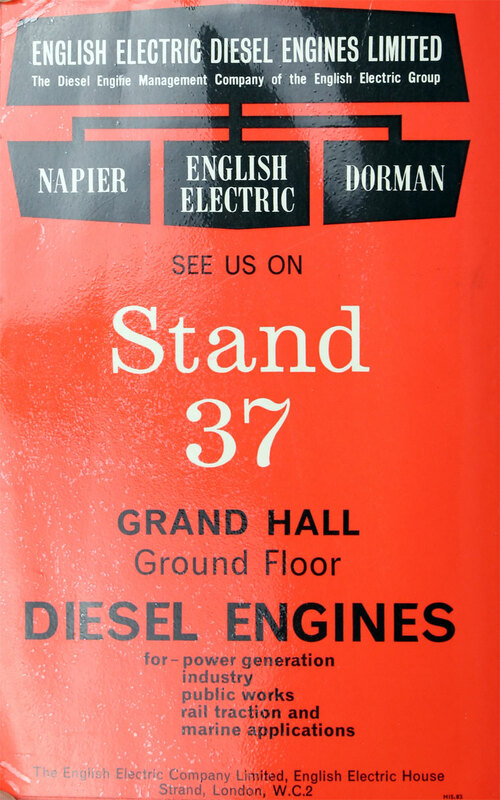 1963 English Electric Co formed a wholly-owned subsidiary: English Electric Diesel Engines Ltd to bring under central control all of its interests in diesel engines, including those in W. G. Bagnall and the Deltic division of D. Napier and Son . 1966 The businesses of Ruston and Hornsby and Davey, Paxman and Co were acquired by English Electric Co. The diesel interests of the enlarged group became English Electric Diesel Engines Ltd. Paxman thus became associated with Dorman (Stafford), Napier, Kelvin (Glasgow), and English Electric. This page was last edited on 2 February 2019, at 21:40.